We use the most sophisticated methods of extraction to obtain our health care products, which give high potency extracts, essential oils and other herbal products. Our products are widely used in ayurvedic formulations and by the cosmetic industry due to the pure quality. Leveraging our top of the line manufacturing facility, compliant with CGMP standards, we supply herbal extracts which retain the most concentrated forms of active ingredients. Our state of the art laboratories conduct rigorous tests for quality control and extensive research goes into development of products that are of the highest quality and in step with the requirements of the consumers. We manufacture and export products compliant with international and national quality control norms and standards that govern drugs and food products. The herbs we use for our health care products are all organically produced and all raw materials undergo stringent quality tests before being utilized. Water purification system is an essential system for survival of life on earth. The human body requires 2 to 3 litres of water everyday to keep it free from harmful toxins. In this fast paced modern lifestyle, water contamination has become common and industrial pollution adds to the problem. The ideal environment in which germs breed is thus created. Through drinking water germs enter the human body which becomes the breeding ground for diseases that slowly and steadily destroy life. It is however important that the water we drink is free from impurities like gastroenteritis, typhoid, cholera, dysentery, jaundice, etc. Various purification processes are followed to make water potable like boiling & ionization. Is bottled water the answer? 11 out of 16 bottled water samples tested did not pass the ISI test for potable drinking water. YES, UV purifier is the only solution for such water problem. 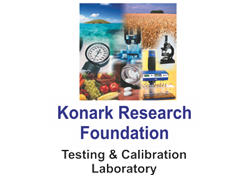 Konark Research Foundation (KRF) is a world class Environmental Research and Development Laboratory with microbiological testing facilities, providing highly precise, dependable and prompt analysis. The laboratory is not only equipped with sophisticated instruments but is also manned by highly skilled and experienced professionals. We also have a close co-ordination with International Analytical Laboratories for additional high level facilities. In the modern days of chemical sciences, the role of chemical analysis is significant and contributes to the de- convolution of complex problems of a variety of chemical industries. 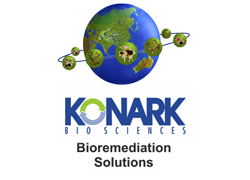 The “Konark Group ” the group is supported by professional and experience team of employees. Recently Konark Electronic Products set up complete Electronics Assembly unit in Kala-amb Himachal Pradesh having the total area of 14000 sq. ft build up, apart from around 50000 sq ft open space available for expansion. 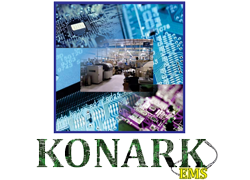 Why Konark Products EMS facility? Complete professional and experience team to give the timely and quality delivery. The complete product can be produce, since the entire infrastructure under one roof. Complete product can made in house so vendor dependability will be less. 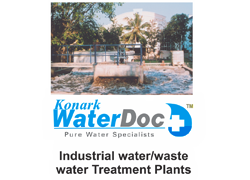 Konark Products factory is in H.P. and we have the tax benefits which we can always pass to our customer. Complete product testing upto IP 66 level with IEC Standards. With this facility we can make all types of complete PCB assembly, wittesting as per the customer requirement.